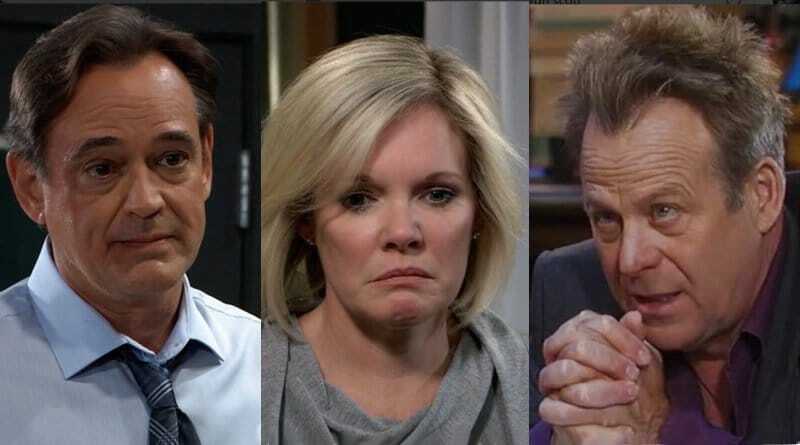 ‘General Hospital’ Spoilers: Laura Takes Kevin Back – All Forgiven? 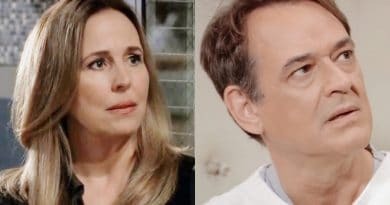 General Hospital spoilers divulge that Laura Spencer softens, which could mean that she forgives Kevin Collins and decides to take him back. 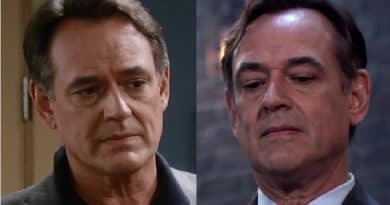 ‘General Hospital’ Spoilers: Jordan Charges Kevin – Doc Pays for Ryan’s Crimes? General Hospital spoilers promise Kevin Collins may be in for a rude awakening. Jordan Ashford may arrest him soon. Could Kevin pay for his evil twin’s crimes? 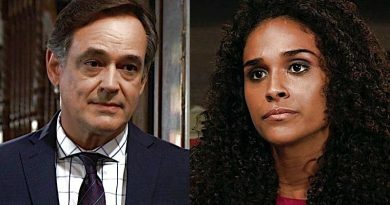 General Hospital spoilers show Laura Spencer remains furious at Kevin Collins after she discovers the twisted twin truth that he kept Ryan Chamberlain stashed in Ferncliff for years. 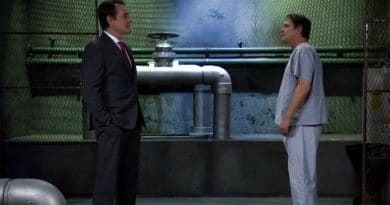 General Hospital spoilers reveal that Kevin Collins and Laura Spencer find a secret passageway, signaling their road to freedom. 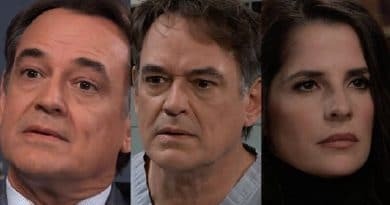 ‘General Hospital’ Spoilers: Franco Rescues Kevin And Laura – Outcast Turned Hero? General Hospital spoilers hint Franco Baldwin may rescue Kevin Collins and Laura Spencer. By going along with Jordan Ashford’s scheme, he’s in the perfect position to save the day. 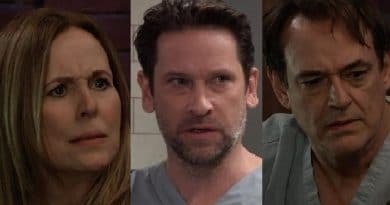 General Hospital spoilers reveal Laura Spencer is taken hostage by Ryan Chamberlain but is at least reunited with Kevin Collins as they face his evil twin together. Who will help them?